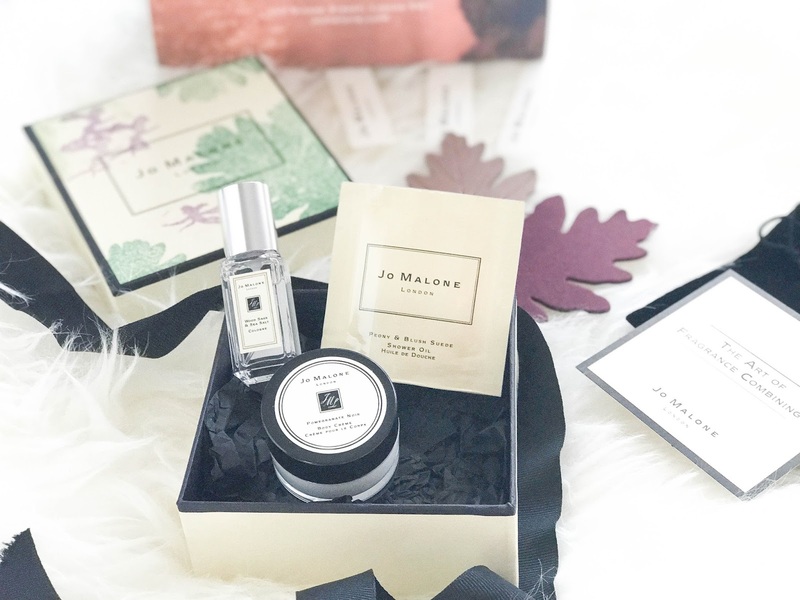 Not gonna lie, my jaw pretty much dislocated and fell on the floor when I saw I'd been invited to a Jo Malone event - I was so happy and shocked! 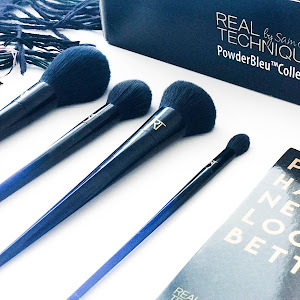 I absolutely love the brand and I think their products are so out of this world and worth the money. 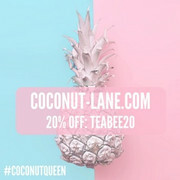 They also make the perfect luxury gift for someone special! 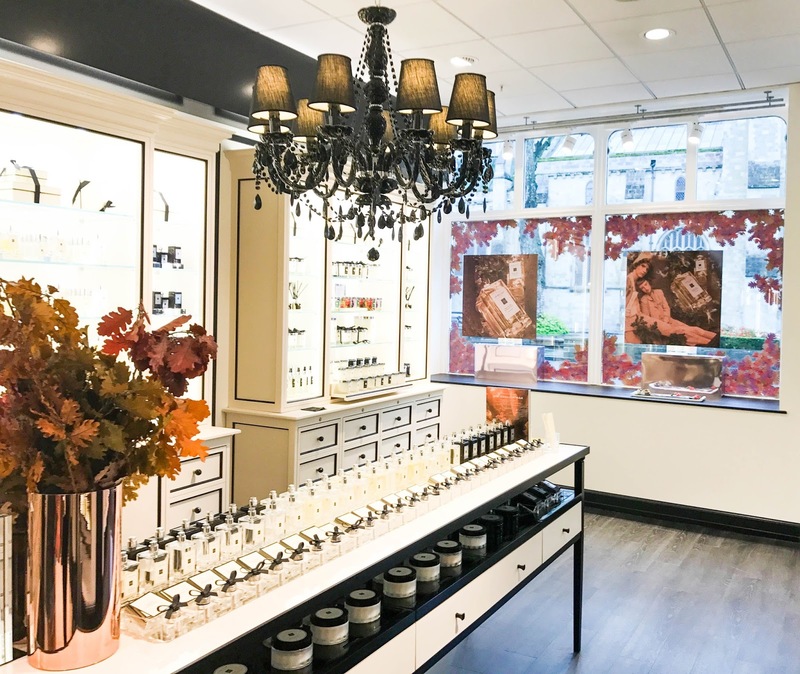 Up until the other day, I was completely oblivious to the fact there was a Jo Malone (as part of House Of Fraser) in Chichester. Considering my boyfriend and I spend most weekends there, you think we would have seen it already! 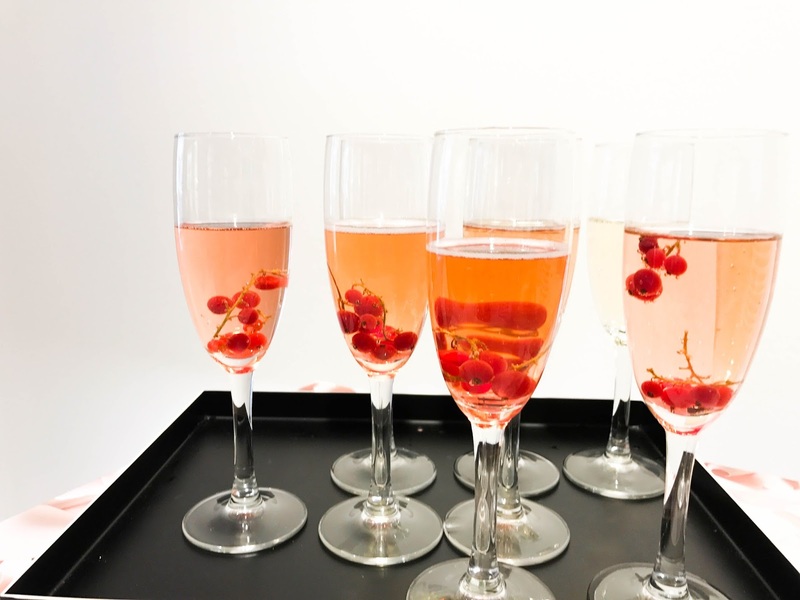 When we arrived, we were greeted by the store manager Peter, and offered some delicious sparkling wine with redcurrant and grapefruit cordial (or lime water for the non-drinkers). 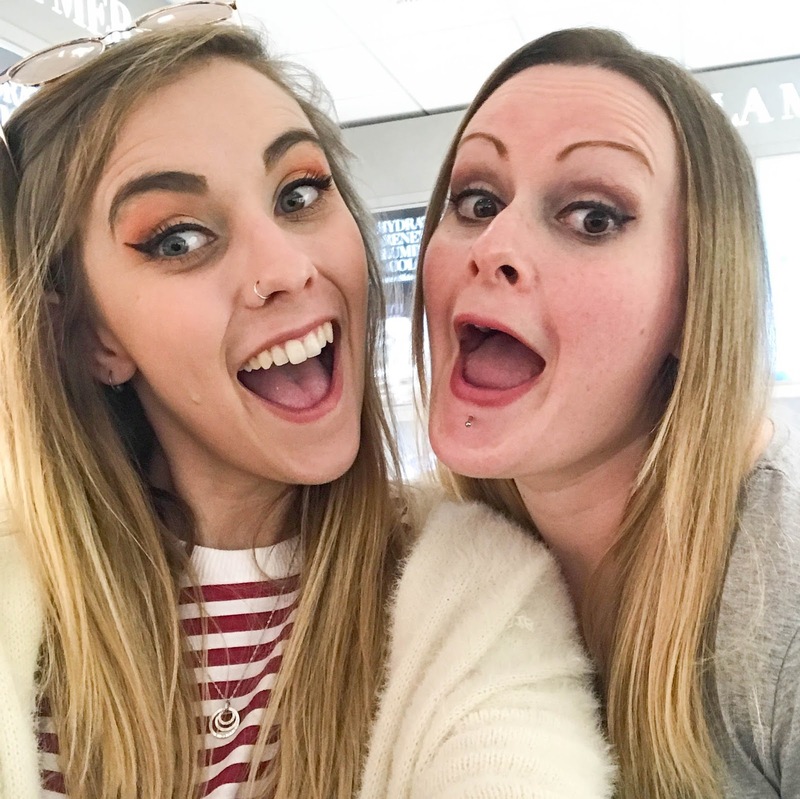 We were given the chance to mingle, get a feel for the store and take all of the photos before the main event! I love that we were able to take it all in our stride, unlike some other events where you are thrown into the madness from the get-go - it made the afternoon all the more relaxing! So.. let me tell you about English Oak! If you hadn't already guessed, English Oak is a very quintessential, British scent! 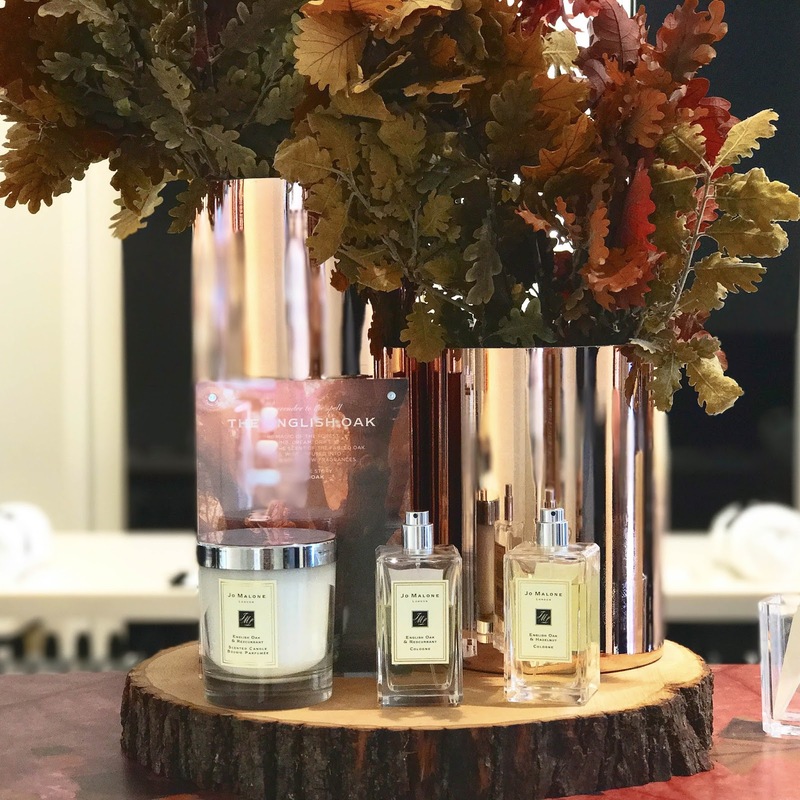 Jo Malone have recently launched their new English Oak with Redcurrant & English Oak with Hazelnut which are both divine! This is actually the first time they have ever launched two fragrances at once - making this an even more exciting event to attend! The two scents are inspired by magical, spellbinding memories of playing in the forest when you were younger, with leaves crunching beneath your feet and never knowing what you might encounter! 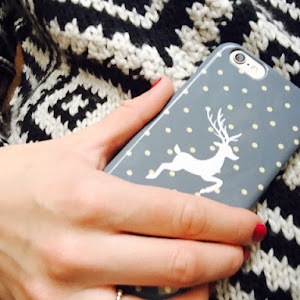 I love that idea because that creates so many autumnal, mystical stories in my head! 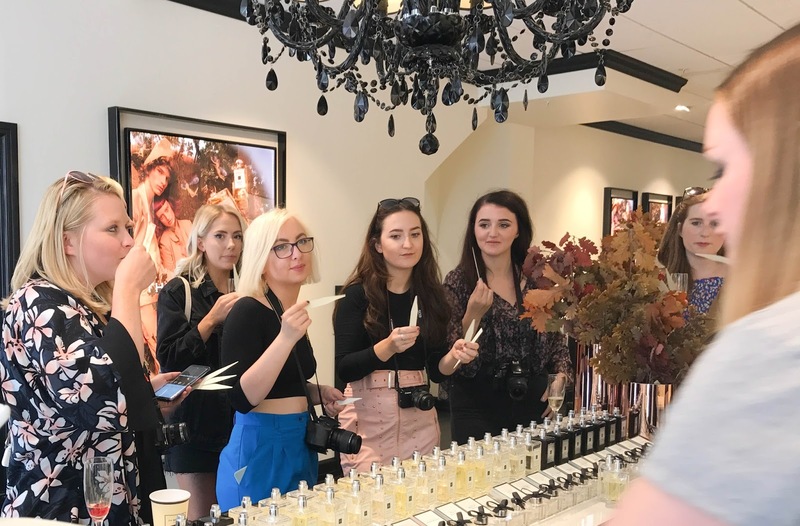 Peter talked us through some of the individual scents before they go into the fragrance itself and I couldn't quite believe some of them! We got to smell the English Oak absolute which was warming yet charming, and the Redcurrant absolute that was sharp, yet equally sweet! When the Green Hazelnut absolute came round I didn't think I was going to love it as much as I did. I just imagined it to smell like sickly Ferrero Rochers (God, I hate those!) but it's the total opposite and smells incredibly crisp and fresh! Good news for those who are allergic to nuts, the Hazelnut is the only synthetic fragrance included in the English Oak range, so it's 100% suitable for anyone with allergies! Four for you Jo Malone. 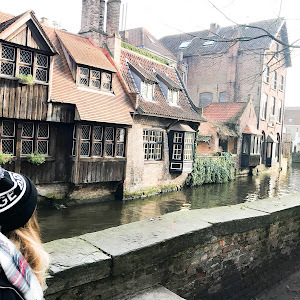 I loved finding out more about the English Oak range and knowing something has such a lovely meaning behind it really makes me love the product so much more! I also think both of the scents have a very unisex feel to them as well, without being too masculine. 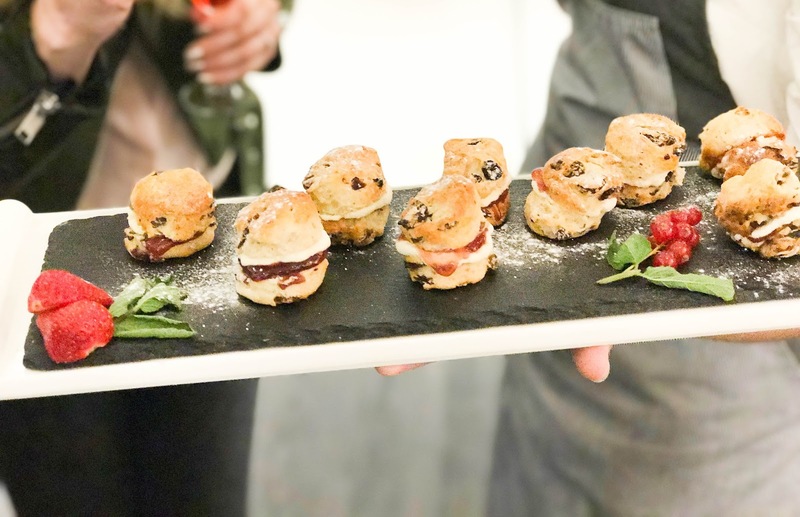 Half way through the afternoon, we were treated to some mini scones filled with cream and redcurrant jam from Wild Mint Cafe. Now I'm not going to lie, I am a firm cheese scone lover so I wasn't sure if I would like these but oh my god, they were incredible and very moreish! We also got to nibble on some cute leaf shaped milk and pistachio flavoured chocolates throughout the afternoon too. I was intrigued by the chocolate bark with pink peppercorn and seeds from Rococo as I didn't think it would be my cup of tea, however it actually tasted much nicer than it sounded. 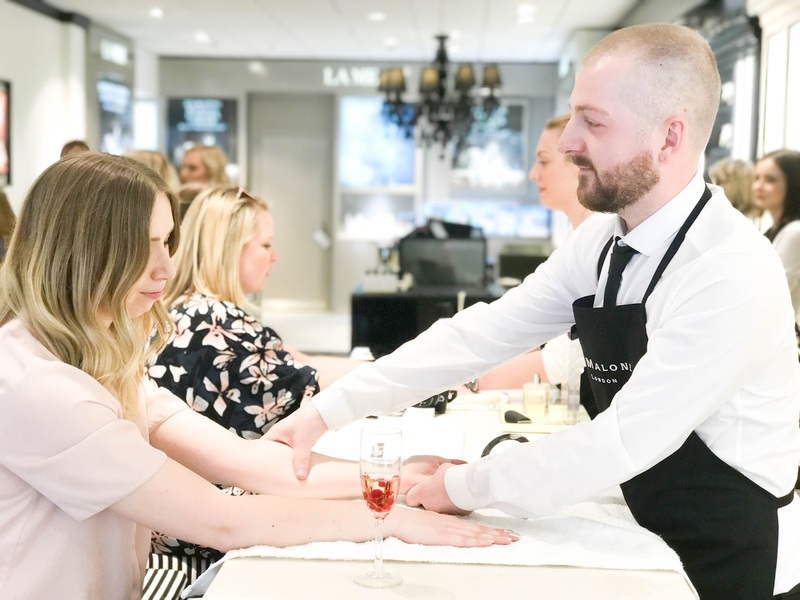 Before long, it was time for our fragrance combining hand & arm massage. 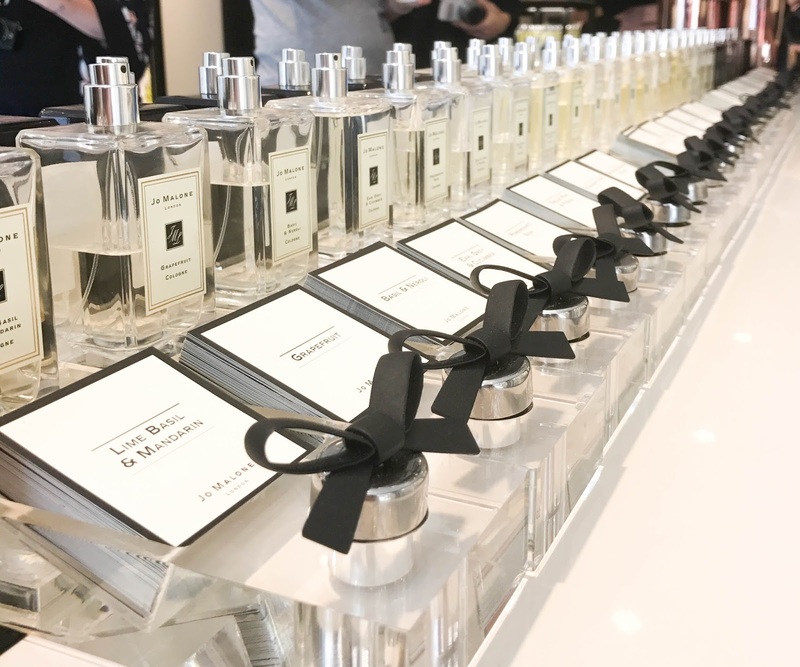 Fragrance combining is something very unique to the Jo Malone brand. 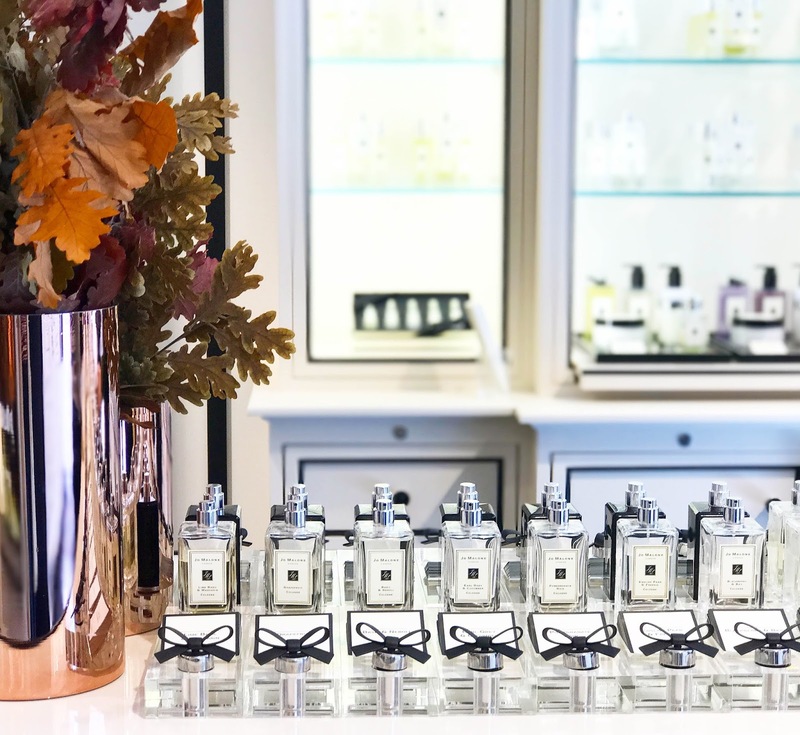 As their fragrances come at a much lower percentage than most high street perfumes, this makes combining possible and adds more of a luxury, long lasting smell to your skin! Whilst we were smelling the different components of English Oak, we had to choose our base scent which was the body cream we got massaged into our hand & arms, then our English Oak cologne choice to spray over the top. For the base scent, I went for Wild Bluebell (which by the way is to die for!) and because I am ridiculously indecisive, I had the English Oak with Redcurrant on one arm and the English Oak with Hazelnut on the other - it was too good to just pick one! The massage was so relaxing in every way - it was impossible not to feel pampered! I also learnt so much about mixing and matching scents to suit your mood/occasion. Some scents I had no idea could even be mixed! 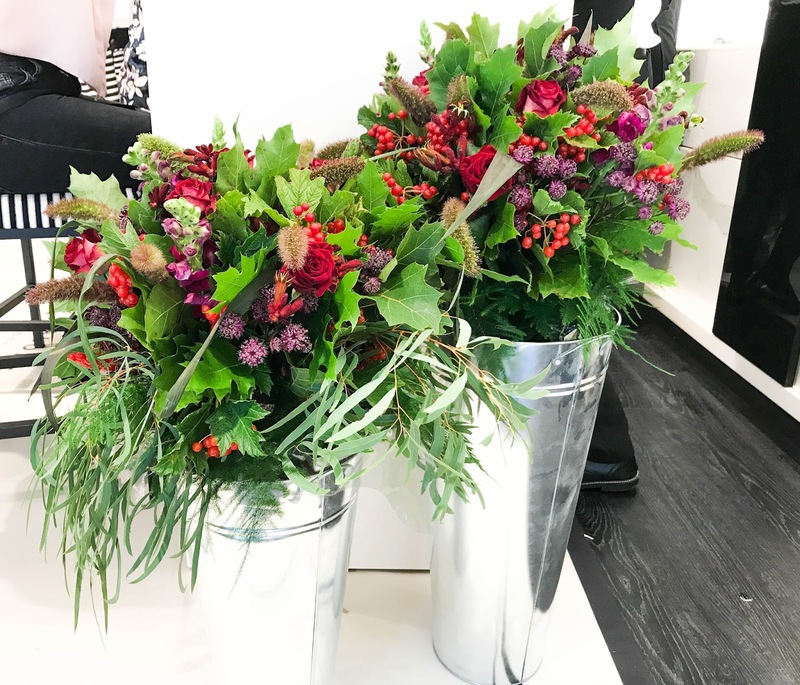 Dotted around the room were the most striking and carefully put together bouquets of flowers I have ever seen, giving the extra wow factor to an already beautiful store. These are created by a company called Nordic Twigs who you must check out. Katie actually got given these beautiful bouquets to take home with her as a thank you gift! 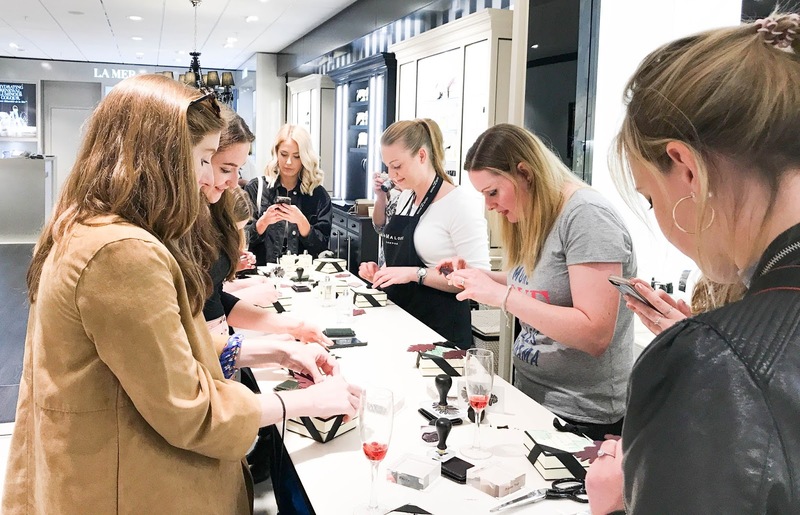 Then we were shown how to add the signature Jo Malone black ribbon to our boxes. This was NOT my strong point and clearly I do not understand simple instructions because it took me much longer than the others to actually get it down to a tee! Haha.. Awks. Please ignore my hideous gaping eye bags. They literally have their own postcode. Before we knew it (and about 16,000 glasses of wine later) it was time to go home! 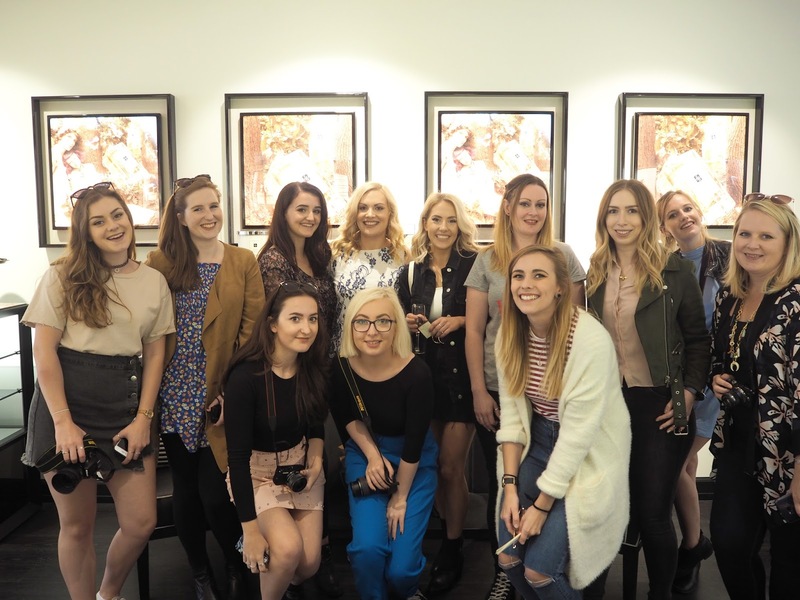 I can honestly say this is one of the most enjoyable blog events I have ever been to, and I couldn't of asked for a nicer bunch of girls to spend the afternoon with! L/R Bottom: Georgia, Beth & Me! 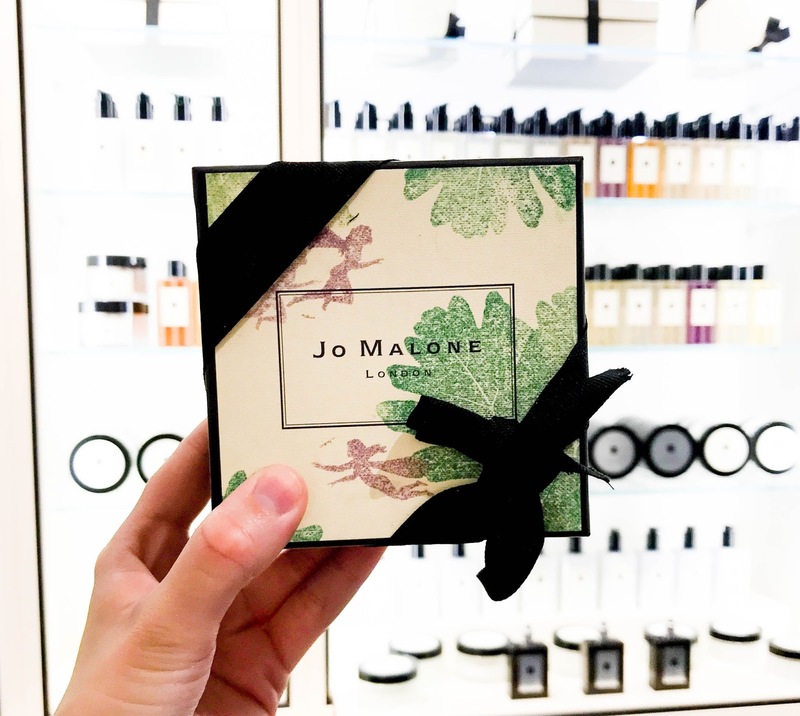 Thank you so much to Jo Malone in Chichester for having us and all the lovely staff who ensured we were looked after from the get-go! Also a big thanks to Katie for organising and inviting us. I hope we can all hang out again soon!